Andrew Schartmann's new book, Koji Kondo's Super Mario Bros. Soundtrack,discusses how Nintendo's first dedicated sound designer completely changed music in games. Kondo's iconic music for that title not only provided some of the most memorable tunes of the era, but also influenced gaming and music for many years after. The New Yorker offers a brief glimpse at the book, explaining how Kondo's work changed video game development, too. "As a result of the collaboration behind Super Mario, during which graphics and audio were developed in tandem, games became more of an all-sensory experience," notes Hua Hsu. It might seem crazy today, but in the early '90s Nintendo and Sony were working together on a video game accessory that'd add CD capabilities to theSuper Nintendo Entertainment System. 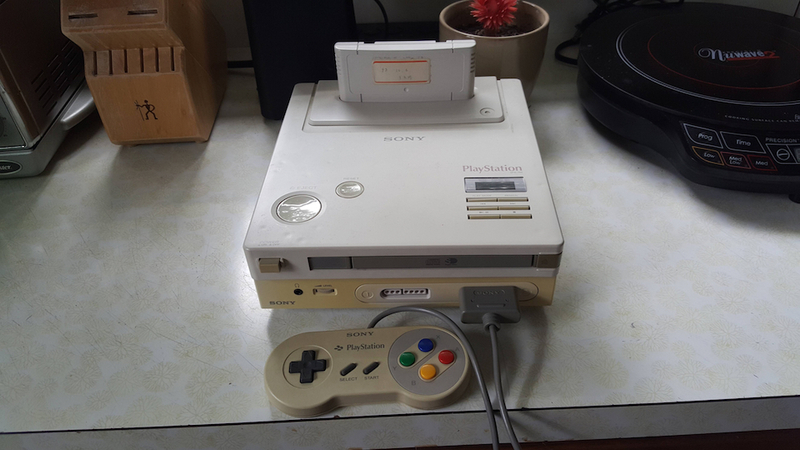 There would also be a separate Sony console that'd play SNES cartridge games and titles for the SNES CD system dubbed the PlayStation. As legend tells it, the deal went sour when Nintendo instead announced a partnership with Sony's competitor Philips for the optical add-on at the same CES that Sony unveiled its Nintendo-centric PlayStation. The rest is history. What you see above might as well be a unicorn, then. Bandai Namco has revealed a Dragon Ball Z hardware bundle for Nintendo’s New 3DS for the upcoming Extreme Butoden title. The package provides consumers with a black New 3DS, a copy of the game and a code for a downloadable version of the SNES title Dragon Ball Z: Super Butoden 2. On top of that, the bundle comes with some Dragon Ball Z-themed cover plates. The covers come in the series’ signature orange colour; the top half is adorned with the game’s logo and its cast of warriors, while the bottom features the titular Dragon Balls. Dragon Ball Z: Extreme Butoden launches for 3DS on Friday October 16th. It will be the second Dragon Ball title of the year, following Dragon Ball Xenoverse in February. That title shipped 1.5m units globally in its first two weeks on shelves. Nintendo boss Satoru Iwata has again acknowledged the angry reaction to the company’s E3 Digital Event, but has argued that the trade and media reaction has been more positive. “We recognise that we have let down a number of the online viewers of this year’s E3, especially the avid Nintendo fans, because we did not show what they had expected,” Iwata told investors. “We listen sincerely to the voices of fans who were not happy about the announcements we made in the online Digital Event, and we will have to make further efforts to improve. The exec also argued that E3 attendees enjoyed the Nintendo booth more than that of their rivals. That point was reiterated by development boss Shigeru Miyamoto. “When we looked at our booth at E3 this year, I had a solid feeling that our trade customers appreciated the very fact that they were able to play the software which soon would be released into the market and that many of them were Nintendo-like software titles,” he added. Miyamoto also had something to say about the E3 criticism the company has faced. “For this year’s E3 in particular, Nintendo focused on the products that are significant for our doing business in the US this year,” he observed. “However, depending on the year, we focus on not only the software that will be released immediately after E3 or right after the turn of the year but also the products that will be released much later or experimental demos to showcase future possibilities. “For example, during last year’s E3, we highlighted some of our experimental software to demonstrate the unique attractions of the Wii U hardware because its appeal had not yet been sufficiently conveyed. Because compared to last year, we now see people in the US are gradually realizing the compelling nature of Wii U hardware, we decided to showcase a number of products scheduled to be released that will have a direct effect on our business in the near term. Nintendo's American boss Reggie Fils-Aime said earlier this week that "there's no sugar coating" the hostile reaction to Nintendo's E3 showing. A cryptic translation of a Nintendo investor FAQ has suggested that Nintendo intends to take steps to mitigate a possible lack of third party support for its NX console. President Satoru Iwata attempted to deflect questions about the NX, but did comment on the decision to announce the machine so early. Having reiterated that the decision was in part designed to alleviate fears that the company may abandon consoles in favour of mobile, Iwata also said that he wanted to machine to be a surprise. What exactly was meant by the following comment, however, is certainly up for debate. to offer NX through a Nintendo-like solution,” he said. A Nintendo-like solution? That reduces the company’s reliance on third party publishers? Iwata also pledged that the company will not drop support for the 3DS or Wii U when the NX does eventually arrive. However, is there anything to be read into the fact that both machines were mentioned? After all, it’s unlikely that Iwata had to address questions about the company possibly dropping support for the DS when it announced the Wii. “NX is a new platform, so the installed base will have to be built up from zero,” he stated. “When NX is launched, there already will be a certain volume of Nintendo 3DS and Wii U hardware widely existing in the market, so from a software business perspective, it would be highly inefficient to stop releasing titles for Nintendo 3DS or Wii U right after the launch of NX. Nintendo’s next home console is currently pencilled in for a release in July 2016, an Asian news report has claimed. Taiwanese site DigiTimes reckons Foxconn has grabbed the manufacturing rights for the machine, although rival Pegatron is also pitching for some of the work. Furthermore, supply partners have been asked to begin pilot production this October. Orders are expected to be finalised in February or March of next year with mass production scheduled for May or June ahead of the suggested July release. There are some inaccuracies in the story which should raise a note of caution, however. It claims that Nintendo has already announced a 2016 release date for NX. It also states that Nintendo hopes to ship 20m NX consoles in its first year – a staggering number considering PS4 sold 22.3m units in its first 17 months. Wii U has, in contrast, sold just under 10m units in two and a half years. MCV does understand, though, that the NX WAS demoed to a number of Nintendo's partners at E3 last month. Club Nintendo has officially shut down in North America, with plans to discontinue Nintendo's rewards program later this year in Europe, Japan and Australia. The Club Nintendo website has been updated with an image of a Mario, hat in hand and head bowed in recognition of the closure. "Club Nintendo has been discontinued. Our heartfelt thanks to our members for your support over the years. Please stay tuned for more information about our new loyalty program,” the site reads. Club Nintendo will completely cease operations in Europe, Australia, and Japan on September 30th. Nintendo plans on replacing it with a new loyalty program that will be integrated with Wii U, 3DS, mobile phones, PCs and eventually its upcoming NX console. It's been 11 years since the F-Zero game back on the Game Boy Advance. One fan's solution was potentially short-sighted. Dave Strauß took to Kickstarter to raise funds for Zero Gravity AX, which, like F-Zero and Wipeout, was going to be an anti-gravity racer; one that offered 30 player multiplayer, customisable vehicles and a track editor. However, Strauß used his own 3D version of F-Zero's Blue Falcon to advertise the project. "The Blue Falcon will not be in the game with this design," Strauß clarified in a later update. "Also that this footage doe's [sic] not represent the final game. We made this prototype of the game and of the model a while back, and we thought it would be a good idea to show what we have done in the past." It's understandable that the project was pulled, Nintendo would not have been happy if it had continued while looking so much like on of its games, but hopefully we'll see another (less copyrighy infringe-y) version of Zero Gravity AX emerge in the future. It seems that Nintendo’s hesitance over promoting Super Smash Bros as a competitive fighting series is coming to an end. The firm has long struggled with its fans’ desire to play entries in the ensemble brawler franchise at pro-gaming tournaments, attempting to halt the streaming of Super Smash Bros Melee matches at major fighting game event Evo in 2013. Jump two years forward to 2015, however, and it seems that times have indeed changed. Although Nintendo is yet to offer any prize money for professional Super Smash Bros showdowns, it has warmed to the game’s inclusion in bracket tournaments, culminating in the entry of one of its executives in this year’s competition at Evo itself. Senior product marketing manager Bill Trinen is set to try and battle his way through the opening rounds of Evo’s Super Smash bros for Wii U contest, confirming his involvement on Twitter. Although there’s still much to be done, Trinen’s presence at the show could hint at bigger things to come for Nintendo in the pro-gaming scene. If you’ve ever had a casual go-kart experience, you might be able to relate to [HowToLou]. He noticed that whenever he tried to race, the same situation inevitably always happened. One racer would end up in front of the pack, and no one else would be able to pass them. The result was more of a caravan of go-karts than an actual race. That’s when he realized that video games like Mario Kart had already figured out how to fix this problem long ago. [Lou] took ideas from these games and implemented them onto a real life go-kart in order to improve the experience. The result is what he calls a . The key to improving the experience was to add more features that you don’t normally get in a real word go-karting experience. The Flash Kart uses an electronic drive system that is controlled by computer. This setup allows the computer to limit the speed of the kart so they are all the same. The system includes a Logitech gaming steering wheel with built-in control buttons. There is also a color LCD screen mounted as a heads up display. The screen displays the racer’s speed in miles per hour, as well as multiple MP3 music tracks to choose from. The system provides the user with a limited number of speed boost tokens, listed on the heads up display. The user can also view their current ranking, their location on the track, or even get a view directly behind them. The back of the kart includes a 23″ LCD screen that shows other players who you are and what team you are on. For added fun, the rider can display taunting messages to other racers using this screen. The front of the kart includes a laser cannon for shooting other karts as well as a “token scoop” sensor. This allows the riders to pick up virtual items such as laser cannon ammo, shields, or extra speed boost tokens. To pack in all of this added functionality, [Lou] started with a typical go-kart chassis. From there, he built a custom fiber glass shell for the back-end. This houses most of the sensitive electronics. The system is powered by three 12V deep cycle batteries. A 15HP electric motor drives the rear wheels. The throttle is controlled with a gas pedal that simply feeds to a sensor that is hooked up to the control computer. The heart of the system is a computer that runs on a 2.6Ghz small footprint Zotac motherboard with Windows XP. The software is custom written in C#. The computer is plugged into a miniLAB 1008 interface board. This is how it communicates with all of the various sensors. The interface board is also used to control a number of relays which in turn control the speed of the kart. Unfortunately [Lou] built this kart years ago and doesn’t include many details about what sensors he is using, or how the software works. Still, this was such a cool idea that we had to share it. Be sure to watch [Lou’s] video below to see the kart in action. It's a sad, sad day in the video game world. Nintendo reports that President Satoru Iwata has died at the age of 55 due to a bile duct tumor. The executive had been forced to skip E3 2014 due to health issues and had surgery to remove a growth later that year, but it's unfortunately clear that this wasn't enough to help him recover. The company isn't saying much about succession at this point, but it looks like Genyo Takeda and company legend Shigeru Miyamoto are taking the reins for now. The creator of Mario could be in line to become the next president of Nintendo. The Wall Street Journal reports that development boss Shigeru Miyamoto could be in line to take charge of the company following the death of Satoru Iwata this weekend. "I am truly surprised and saddened by this unexpected news," Miyamoto said in a statement. "The entire development team at Nintendo will remain committed to our development policy which Mr Iwata and we have been constructing together and to yield the development results which Mr Iwata would appreciate." Miyamoto is one of just two directors currently in place at Nintendo, with the other being integrated research division boss Genyo Takeda. Takeda has worked on all Nintendo hardware since 1981, although he also has a number of successful software credits to his name including Punch Out and Pilotwings 64. Nintendo’s American boss Reggie Fils-Aime arguably remains a possibility, too, although Nintendo – like many Japanese companies – likes to hire close to home. 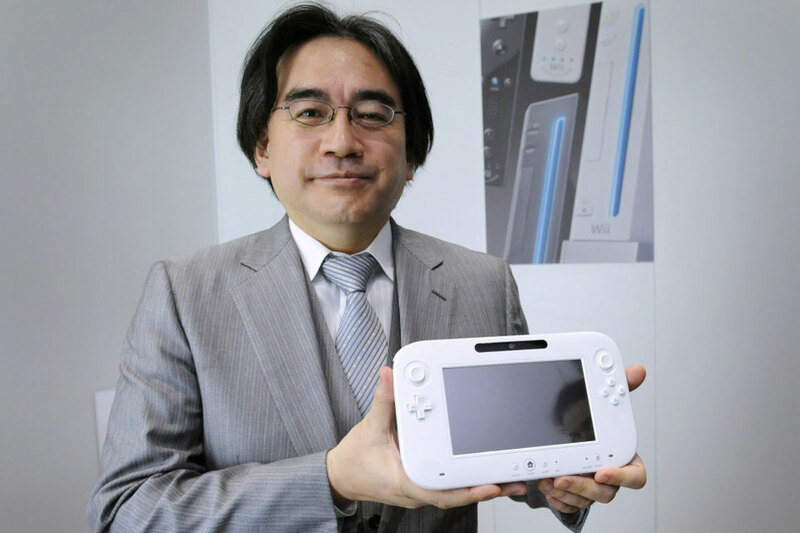 Iwata was the first Nintendo president not to come from the Yamauchi family, for instance. It’s hard to think of a more popular appointment than Miyamoto, however. Perhaps the most celebrated developer of all time, he is credited as creator of a string of super-franchises including Super Mario, Donkey Kong and The Legend of Zelda. Unreal Engine 4 has shown us what the next generation of video games can look like: large, realistic and mind-bogglingly gorgeous. Frankly, its tech demos are breathtaking -- technical marvels that show off photo-realistic apartmentsand ; but what happens when you cram cartoonish mascots like Mario and Sonic The Hedgehog into these technical marvels? Mind-blowingly awesome YouTube videos, that's what. Nintendo was right about the Wii U. We were wrong. With the announcement of the Wii U, everyone thought Nintendo was wrong. Hell, we thought Nintendo was out of touch, foolish and doomed for producing a gaming-focused, two-screen console that wouldn't be able to compete technologically with whatever Sony and Microsoft offered in the new generation. The most vocal players wanted better graphics, bigger games and more online experiences. The Wii U offered sub-standard graphics, convoluted online policies and a lineup of classic franchises that, in theory, could eventually show up on the console. By its launch in November 2012, the Wii U was a joke and its sales suffered. But then: Sony launched the PlayStation 4; Microsoft launched the Xbox One; and as hype for each rose and fizzled out, the Wii U began to look more promising. It had been out for a year longer, meaning it had more games. It offered local cooperative and competitive experiences, something in short supply from the online-focused PS4 and Xbox One. Most importantly, it offered fun -- and today, with a lineup of revamped classics and fresh competitive experiences, the Wii U is the most consistently joyful console of the current generation. As it turns out, Nintendo wasn't wrong. We were. Just like the PS4, Xbox One and Wii U, Nintendo’s NX console could be powered by an AMD processor. VentureBeat reports that, as with the other machines, signs are pointing to an AMD APU (a chip that combines both a graphics processor and central processor), with AMD chief executive Lisa Su saying that the company has won a third semi-custom chip design contract. Late last year AMD CFO Devinder Kumar told analysts that the company was working on two semi-custom chip designs – one ARM based and one x86. Using an x86 AMD and Intel architecture could also pave the way for possible Wii U backwards compatibility, too, although that console’s unique control system could throw up a few barriers – unless the GamePad were made to be compatible, of course. Intel are another possible contender when it comes to NX design, of course, but the site adds that the company has given little indication in recent times that it is interested in the game console chip market. IBM’s interest in the sector has also decreased significantly following the sale of that division to Globalfoundries. One note of caution – Moor Insights & Strategy analyst Patrick Moorhead has said that should Nintendo opt to follow the Android route with its new machine, Nvidia would probably be a more likely choice of partner. Remember that Nintendo has previously denied that Android will power the NX. Nintendo’s first foray into 3D gaming was released in Japan on July 21, 1995. On this, the Virtual Boy’s 20th birthday, let’s take a moment to appreciate all the joy it has brought gamers over the years. No really, I’m serious. 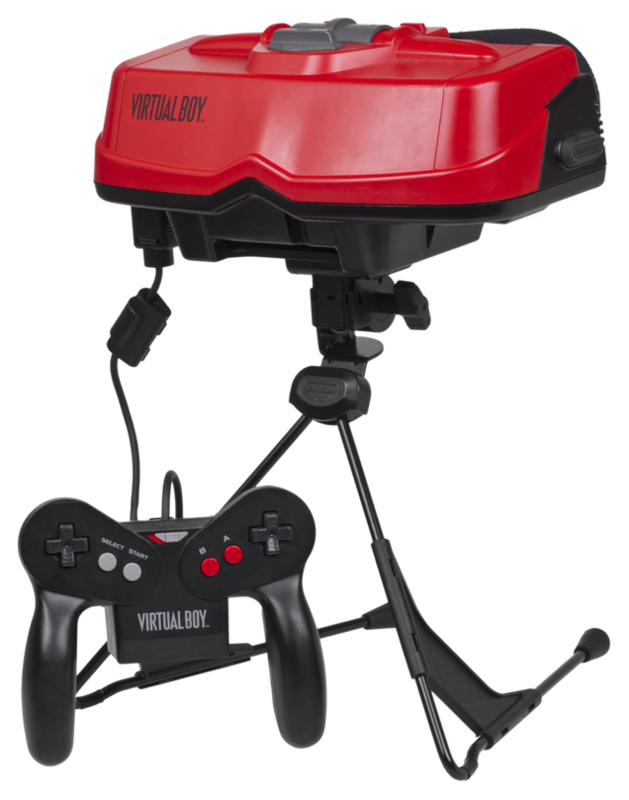 One of Nintendo’s biggest mis-steps, the red-and-black 3D gaming machine that is the Virtual Boy also stands as a testament to the company’s dogged dedication of hardware innovation. Had most other companies released a major product that was met with a response as abysmal as the one the Virtual Boy received, they’d not only stop attempting to think outside of the box, they’d set up a defensive perimeter around it complete with attack dogs and sniper towers. But Nintendo has gone on to bring us motion control, balance boards, controllers with built-in screens and — most apropos to this occasion — a 3D handheld that actually works, followed shortly by an updated version that actually works well. So while the Virtual Boy may not have generated much in the way of direct joy, it was instrumental in establishing a Nintendo standard that would eventually make millions of gamers around the world incredibly happy. Nintendo has revealed a Super Mario Maker Wii U bundle heading to UK retail. The game (which will be physical) will be packed with a 32GB black Premium Consoles and the classic variant of the Super Mario Amiibo. It also includes a hard cover artbook. There will also be a Super Mario Maker Limited Edition pack including just the game and Amiibo, as well as the Amiibo-free game release. The classic Amiibo will also be released as a standalone purchase. That will all be released in the UK on September 11th. Pricing has not yet been revealed. Then on October 23rd Nintendo will release a modern variant of the Amiibo in the more contemporary blue and darker brown colours. 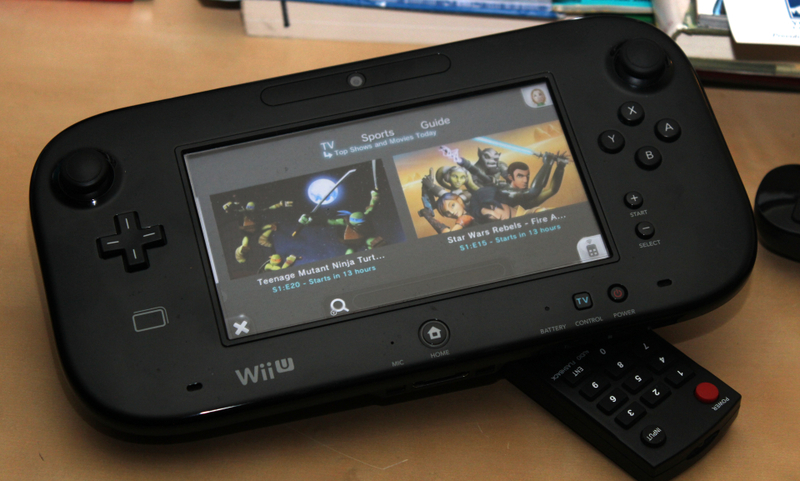 Remember Nintendo TVii, Nintendo's weird television hub for the Wii U? Don't worry, most people don't -- and in a few weeks you'll never have to think about it again. Nintendo just announced that the service is shutting down on August 11th. You know how everyone completely loses it every time Facebook pushes a redesign live? It's happening again -- except this time it's happening onMiiverse, Nintendo's quirky social network. 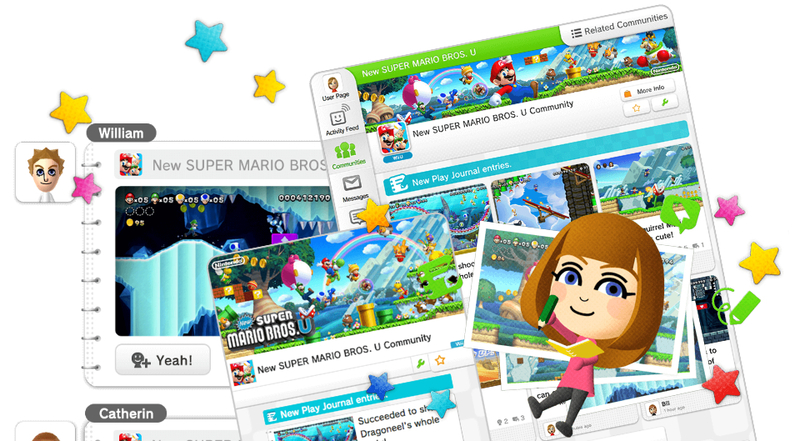 On July 29th Miiverse will be given its first major overhaul: a total redesign that adds new features, changes how game-specific communities work and, weirdly, imposes a daily post limit on all users. Why all the changes? According to Nintendo, the community has been using Miiverse, well, wrong. Nintendo first announced its intention to develop a sleep monitor as part of its "quality of life" initiative in 2014. Now, thanks to a recently published patentunearthed by NeoGAF forum members, we have an idea of what the system could look like. The gamemaker is apparently planning to build a sensor-laden alarm clock-like gadget that's equipped with a projector. Since the documents are mostly in Japanese, we only have their summaries and the device's illustration to go by, which you can see below the fold. It's been a long time coming, but another Dragon Quest title is on the way -- and you'll want to keep your eye on this one. 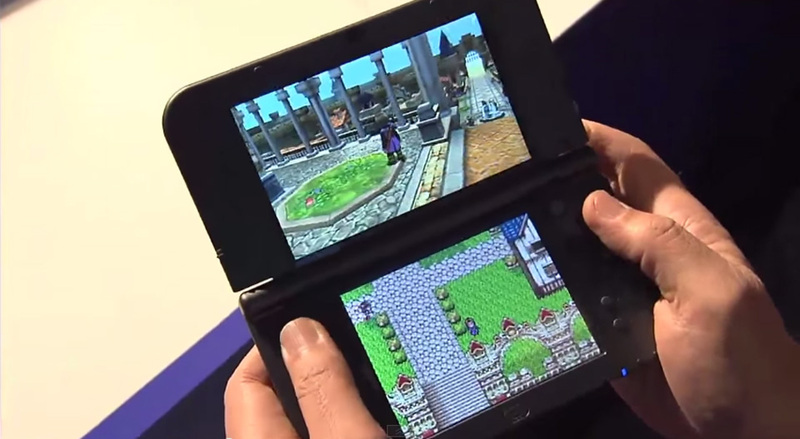 Square Enix has announcedDragon Quest XI, a solo role-playing game (no DQX-style massively multiplayer experience) that will come to the PlayStation 4, 3DS... and, quite possibly, Nintendo's future NX console. Yes, the publisher is at least "considering" a version for a system that exists as little more than a codename. There's no mention of what that version will entail, although it's clear that DQXI will take advantage of platforms' strong points. The PS4 version is based on the prettyUnreal Engine 4, while the 3DS version makes good use of the dual screens to show 3D gameplay and 2D maps at the same time. As it stands, you'll have to wait a while to try any edition for yourself. Square Enix hasn't provided any release dates yet, so the odds are that you won't be battling slimes until 2016 at the earliest. Nintendo's NFC Reader/Writer accessory, that allows folks to use their Amiibo on older 3DS and 2DS handhelds, will arrive in Europe on 2nd October, Nintendo has announced viaTwitter. According to North American retailers such as Target and Best Buy, the accessory will arrive in that territory on 25th September where it goes for $19.99 (about £13). The peripheral will require two double A batteries. New Nintendo 3DS includes the NFC function, so this accessory is only for older models of Nintendo's handheld devices - i.e. 3DS, 3DS XL and 2DS.